Since the founding of Superior, we’ve been reinventing and redefining the stacking conveyor. 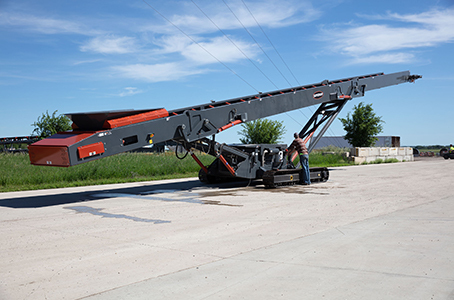 And now our product line has expanded to tracked conveyors. The key breakthrough that put us on the map was the patent of the FD Axle in 1994. This innovation made it possible to transition stacking conveyors from transport mode to stacking mode in a matter of seconds. Our time tested reputation makes us a trusted source for hundreds of conveyor customers each year.